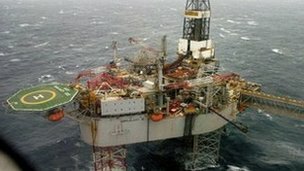 A new flight will be launched this summer linking Aberdeen with a major oil and gas hub in Norway. Kristiansund is the centre for servicing a number of offshore installations and the move has been welcomed by the oil and gas industry. An outbound and return flight will run between Monday and Friday from August. Scotland's energy minister, Fergus Ewing, said: "This new air route with Norway will be a valuable addition to Scotland's international air connectivity helping to build business links between oil services companies in both countries. "It's good news for the economies of the north-east and Scotland as a whole." David Rennie, international head of oil and gas at Scottish Enterprise, said: "Helping companies tap into new trade and investment opportunities in overseas markets is one of the key priorities of Scotland's industry-led oil and gas strategy, and the launch of this route will have an important part to play in developing such opportunities." The chief executive of bmi regional, Cathal O'Connell, said the new route would be available in time for the industry conference, Offshore Europe, which takes place in Aberdeen at the start of September. A teenage cyclist killed in a crash with a car "lived, breathed, slept and dreamt" mountain biking, his family says.